Join the Office of Diversity, Equity and Inclusion for our final LGBTQ+ History Month event — a trans history book club! 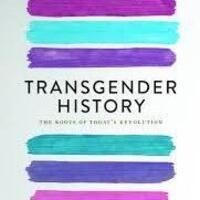 We will be discussing Susan Stryker's "Transgender History." Students who are interested in this event can obtain a complimentary copy of the book by stopping by ODEI in Lower Gund Commons 012. Light refreshments will accompany the lively conversation about the importance of transgender history.